We received an email from Ned Cresswell, an organic farmer and biologist living in Ecuador, politely requesting help to protect his valley in the Intag region of South America. Some of the world’s largest copper mining companies (BHP, Codelco) are planning to develop the region. With the consequence that the natural area will be destroyed. The Intag zone of Ecuador, where Ned lives, covers an area of 150,000 hectares (1,500 square kilometres). At present, 90,000 hectares (70% of the area) have been concessioned to mining companies. Although these figures frequently change as more areas are concessioned. In the Intag area, the mining concessions include many towns and villages, hundreds of streams and rivers, thousands of hectares of primary forests and the 6,900 hectare Los Cedros reserve. The Los Cedros reserve is home to over 400 species of birds, 6 species of big cat, hundreds of other mammals and amphibians, many in danger of extinction, including a unique species of spider monkey. More importantly, the mining concessions adjoin and are within the buffer zone of the 243,000 hectare Cotacachi Cayapas nature reserve. • 689 species of birds, 139 mammals, 111 species amphibians, 124 reptiles. • Wolves, jaguars, bears and pumas. • Endemic nature in danger of extinction. Anyone with a concern for nature will see why this is worth a few minutes of their time. Yet this video makes you stop and think. 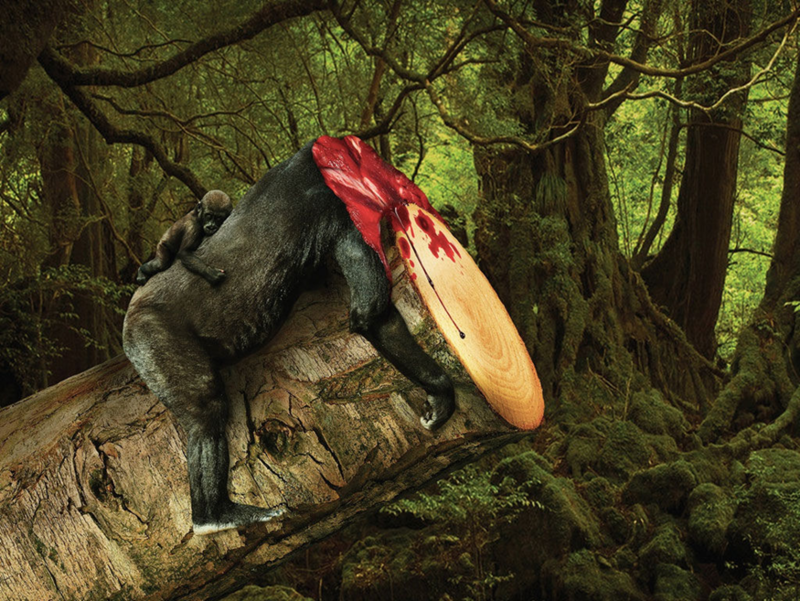 If we do anything, surely it must start with protecting the rainforest. Championing the shift to clean energy and sustainable food production is pointless at the expense of the most precious nature reserves. And thank you to everyone who watches the video. Please share this link as you never know what may happen. One butterfly flaps its wings and sends a ripple through the air, that cascades across the world. The butterfly effect. I’m writing because I want to ask you to support the indigenous Waorani people in their battle to protect half-a-million acres of their rainforest homelands in the Ecuadorian Amazon from oil drilling. In less than two weeks, an Ecuadorian court will make a decision that could halt the auctioning of their lands to the oil companies and protect their forests. But the Ecuadorian judicial system is under pressure from the government and the fossil fuel industry to sway the verdict. The time for action is now! I have signed an urgent petition supporting indigenous rights, rainforest protection and climate justice! Will you join me in signing this petition, and ensuring that the judges in Ecuador know that the world is watching this landmark human rights case! Charmin is one of the most recognizable toilet paper brands in the world. Charmin prides itself on being ‘made from nature’. But its parent company - Procter & Gamble isn’t telling you that Charmin is really flushing nature down the toilet. 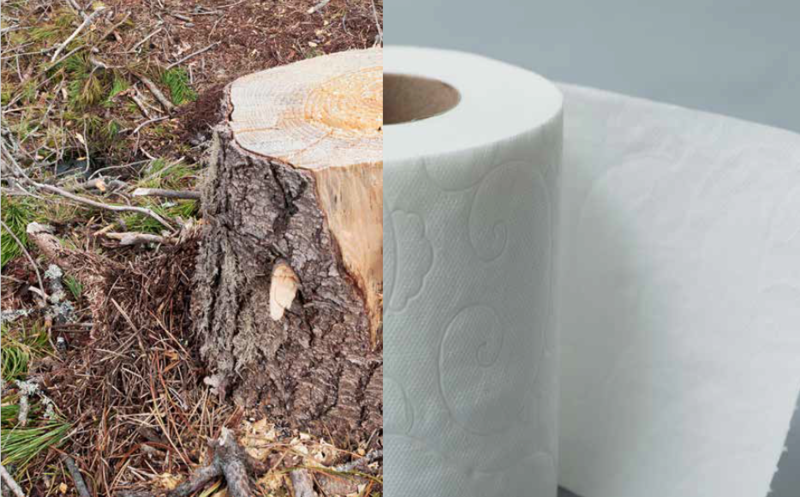 Single-use tissue paper products like toilet paper and paper towels are heavily impacting primary forests. These impacts are massive — nearly half of all pulp exported from Canada goes into single-use paper products like toilet paper and paper towels. Charmin, one of the biggest toilet paper brands in the world, contains no recycled fiber. That means that Charmin and its parent company, Procter & Gamble, are significant destroyers of the Boreal forest, habitat to wildlife including the endangered Woodland caribou. In its “Issue with Tissue” report released earlier this year, Stand.earth and National Resources Defense Council (NRDC) took the largest tissue companies to task for flushing our forests down the toilet, giving Procter & Gamble, Kimberly-Clark, and Georgia-Pacific “F” grades for having zero recycled content in their at-home toilet paper brands. Charmin prides itself on being “made from nature” — but if today’s video reveals anything, it’s that most shoppers definitely have no idea that when they purchase major brands like Charmin they are unwittingly complicit in flushing forests down the toilet. And that’s a real stinker.